My Dream Canvas: A Farm, A Shop and A Cafe! A Farm, A Shop and A Cafe! 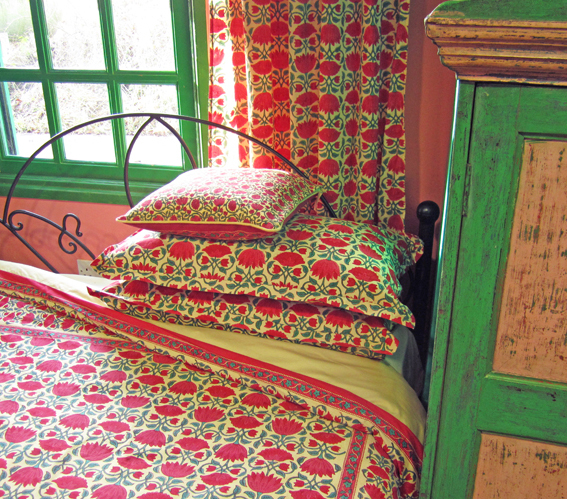 Did you know that you can buy these lovely hand block printed bed and table linen at an Organic Farm in the UK ? I did not...... and there is a fascinating story that goes with it. I am taking you today to the Abbey Home Farm in Cirencester, UK. This is a family run farm owned by Will and Hilary Chester-Master. These lovely textiles are sourced by Hilary from India and printed at her own small workshop in Rajasthan . They have been created by the same two hand block printers for the last 21 years. The printing process has switched completely to organic cotton and low impact dyes over the past four years . The farm runs as a workshop / B&B / textile store and so much more. 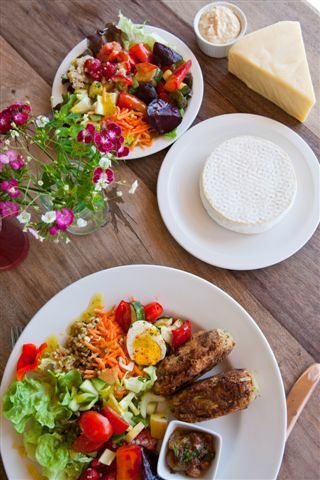 The farm is organic and environmentally sustainable and has a lovely garden, a shop and a cafe. There is also a cute little shepherd’s hut and yurts where you can spend the night and enjoy the experience of being at a farm. The farm is often visited by schools and green fingered enthusiasts and is a brilliant and inspiring example of a sustainable organic community. 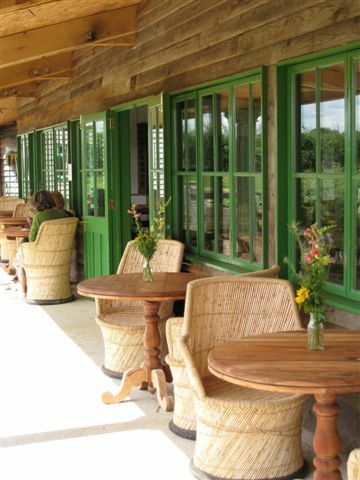 Laid back and rustic...this is the verandah of the cafe at the farm. The menu changes daily here! After the dissolution of Cirencester Abbey in the reign of Henry V111 an area of the confiscated land was bought from Elizabeth 1 in 1564 by Dr Richard Master, the Queen's physician. The present owners, the Chester-Master family are the descendants of Dr Richard. The farm name has its origins in his purchase of this earstwhile church property. The modern day boundary of Abbey Home Farm includes land owned, purchased and transferred over the last 450 years. Are you impressed and fascinated. I certainly am :-) Anyone ready to join me for a quick trip to England to visit this farm???? Click here to view the farm's website. wow!! this is lovely.. the block print looks stunning!! This picture reminds me of those cool houses in Shimla/Dehradun. Lovely prints gracing an English Farm.